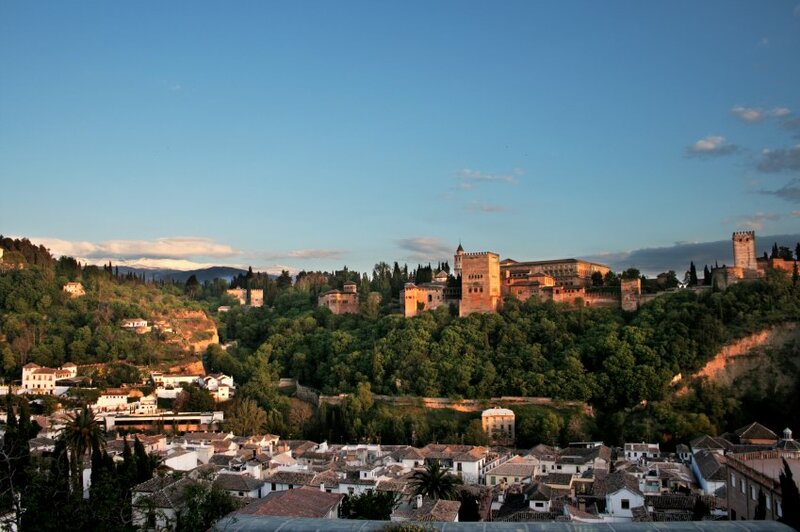 Granada offers a lot more to see and do than you would normally expect from a provincial capital. The biggest attraction is no doubt the Alhambra, which consistently draws more visitors than any other sight in Spain. Because Muslim rule lasted the longest in Granada—roughly 250 years longer than in Cordoba and Seville—the city has the widest-ranging inventory of medieval Moorish structures on the Iberian Peninsula: Arab courtyard homes, bathhouses, cisterns, defensive walls and horseshoe-arched gates, mostly in the Albaicin district. Likewise, the Christian conquest in 1492 sparked a building boom as the new monarchs put their stamp on the city. Centuries-old monasteries, churches, palaces and civic buildings in styles ranging from Gothic, baroque and Renaissance to mudejar define the cityscape. As impressive as its monuments are, modern-day Granada in no way languishes in the past. In restaurant terraces and tapas bars, fun-loving Granadinos mingle with a steady stream of tourists from all over the world and a local and international student population of 60,000. As the beautiful views and gastronomic bounty attest, nature has been extremely generous. Traveling less than an hour in any direction will take you to lovely mountain or coastal scenery where, depending on the season, you can ski, snowboard, hike, cycle, kayak or swim.